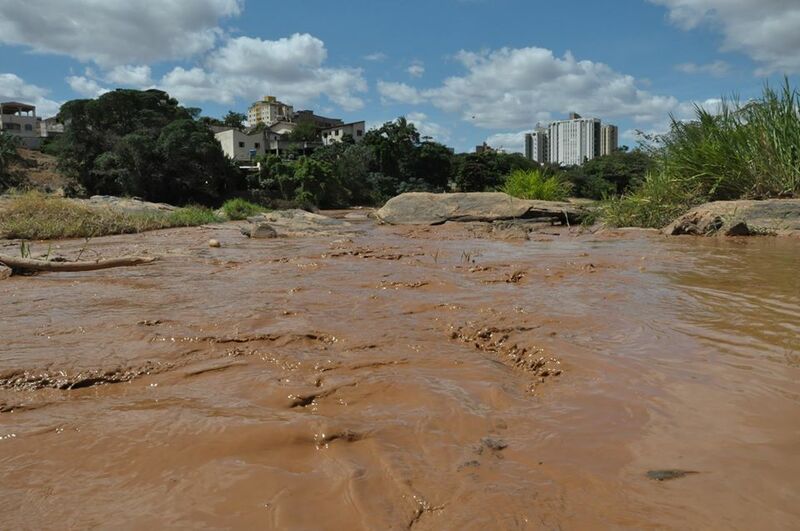 Last Thursday, November 5th, two dams containing mine tailings and waste from iron ore mining burst, burying the small historic town of Bento Rodrigues, district of Mariana, Minas Gerais state. The village, founded by miners, used to gain its sustenance from family farming and from labor at cooperatives. For many years, the people successfully resisted efforts to expel them by the all-powerful mining company Vale (NYSE: VALE, formerly Vale do Rio Doce, after the same river now affected by the disaster). Now their land is covered in mud, with the full scale of the death toll and environmental impacts still unknown. Officially there are almost thirty dead, including small children, with several still missing. The press and the government hide the true numbers. Independent journalists say that the number of victims is much larger. The environmental damage is devastating. The mud formed by iron ore and silica slurry spread over 410 miles. It reached one of the largest Brazilian rivers, the Rio Doce (“Sweet River”), at the center of our fifth largest watershed. The Doce River already suffers from pollution, silting of margins, cattle grazing in the basin land, and several eucalyptus plantations that drain the land. This year Southeastern Brazil, a region with a normally mild climate, endured a devastating drought. Authorities imposed water rationing on several major cities. Meanwhile, miners contaminate ground water and exploit lands rich in springs. The Doce River, once great and powerful, is now almost dry, even in its estuary. 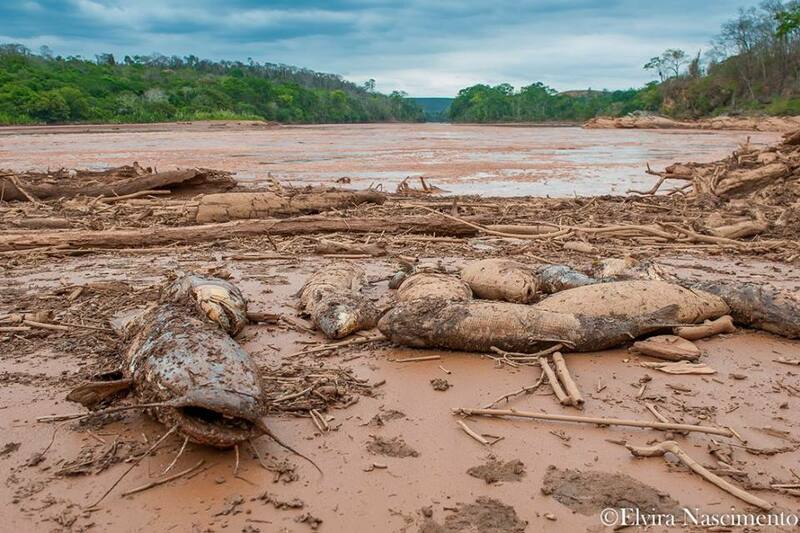 The mud of mining waste further injures the life of the river. We do not know if the mud is contaminated by mercury and arsenic. Samarco / Vale says it isn’t, but we know that its components, iron ore and silica, will form a cement in the already dying river. This “cement” will change the riverbed permanently, covering the natural bed and artificially leveling its structure. The mud is sterile, and nothing will grow where it was deposited. A fish kill is already occuring. We do not know the full extent of impacts on river life or for those who depend on the river’s waters. Soon the dirty mud will reach the sea, where it will cause further damage, to the important Rio Doce estuary and to the ocean. Activists around the world are uniting to protest against Vale. Visit the Facebook event page at Não foi acidente! A VALE DEVE PAGAR! This is an international tragedy and should be punished by court ordered jail time for executives and owners of the mining corporation. Monetary fines and rebukes are not enough. This must be prevented from ever happening again, and the company should pay for the immediate and long term cleanup. The government is also guilty for allowing the conditions that caused the disaster to exist. People matter. The ongoing clear cutting of the Amazon is Brazil’s worst environmental disaster. Vale and it’s executives must be held accountable for this irresponsibility based on the full extension of the law! And not deny the harm as they did on TV mentioning that there was no harm to the environment! Absurd!